Is it possible for wine to displace blood and flow through your veins instead? We have only just acquainted ourselves with Aquitaine’s liquid sensations and I am convinced that if I prick my finger droplets of Cabernet Sauvignon will spurt forth! 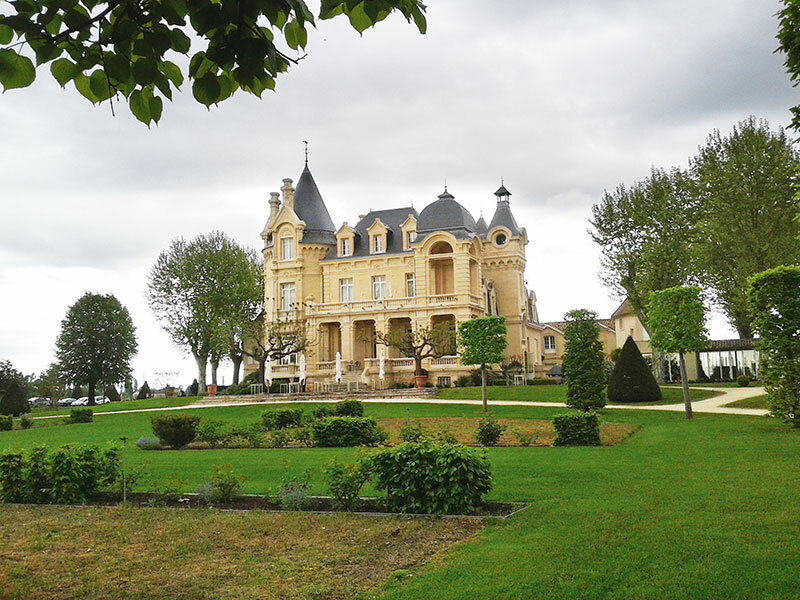 Following a masterclass by sixth-generation scion Vincent Lignac in the charming environs of his family home, Chateau Guadet, and an overnight stay amid the vines of the imposing Grand Barrail Chateau Hotel, our small group is twirling the reds yet again at the Bordeaux Wine School. Here, we sit behind desks and absorb nuggets about intensity and density, clarity and colour, aroma and balance, grape varieties and food pairings. And even though we sip and spit, the experience is heady enough for at least two of us who are in danger of sliding off our chairs in an alcohol-induced slumber! Bordeaux, the biggest wine-producing area of France and capital of the Aquitaine region, is home to more than 7,000 winegrowers who turn out close to 450 million bottles in a good year. If you have the inclination and the time (we had more of the former, less of the latter) you can visit a cellar and ferret out your vintage as per your birthdate or play a round of golf among the vines. Bestowed with the UNESCO World Heritage tag in 2007, the city’s ochre limestone facades are frequently scrubbed and buffed of polluting poisons to mimic their 18th-century elegance. 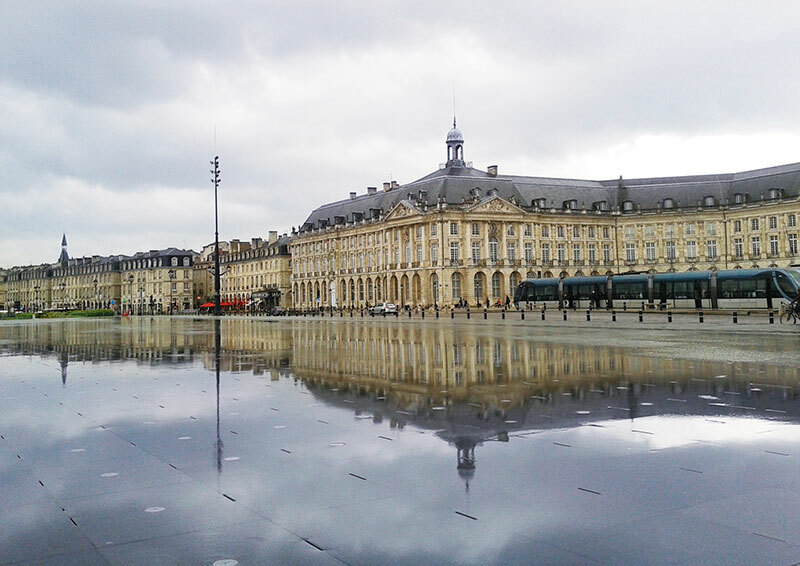 The Place de la Bourse with its waterfront position and mirror-like reflection surpasses expectations. The street around it appears to be the promenade du jour every day of the year, almost beckoning us to take a long, languid stroll with the wind in our hair. Also deliciously inviting — across the river — is La Bastide, the old industrial area’s new trendy avatar, but a serious gastronomic experience awaits us at Le Bordeaux, the brasserie at the Grand Hotel where we will tuck ourselves in for the night. The meal exudes a passion for perfection. Fresh asparagus floating in a velvety Bordelaise sauce, followed by a buttery merlu fillet spiked with the rich smoky flavour of shiitakes that send us into a palate-tickling spin. Naturally, the region’s wine is the pièce de résistance. The hotel, a receptacle of old-world luxury and fairy-tale charm, is located in what is probably the most central square of Bordeaux and what do I spot when I look out from my suite but a large magasin de vin. No surprises then for Bordeaux winning an online survey for best European destination of 2015! 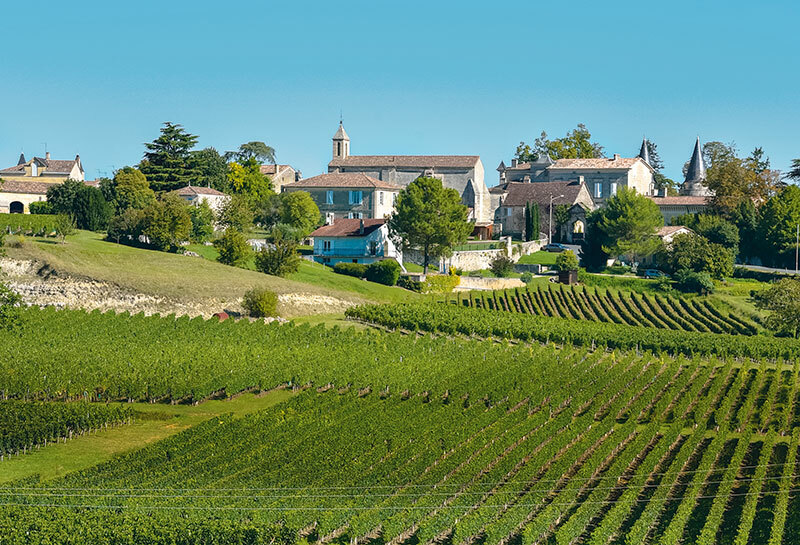 Bordeaux is quite beautiful, we agree, as we speed past verdant vineyards towards the sunflower fields and rolling hills of the Midi-Pyrenees in Rail Europe’s superfast TGV. The russet-and-pink-clad Toulouse, birthplace of the Concorde and home of the Airbus, is our next stop. 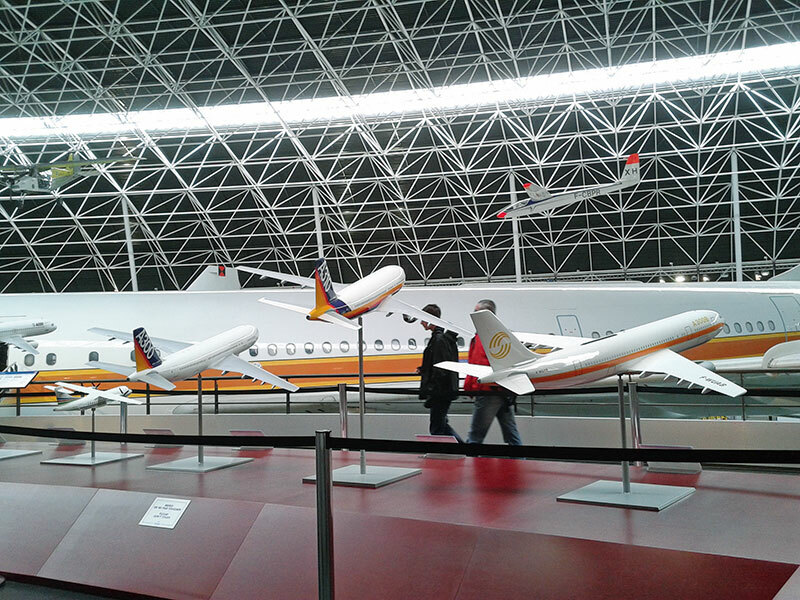 While the group exchanges notes to get acquainted with the fourth-largest city of France over a silken avocado salad dunked in crab sauce, a delectable olive-lemon-ginger chicken fricassee and a sublime strawberry dessert at Le Capoul, an immediate excursion to the one-year-old Aeroscopia — a shrine to aviation history — is being planned as well as a walk about town. Toulouse is in the pink so to speak because the building material consists mostly of reddish-orange terracotta bricks which have conferred on the region’s capital city its own particular hue. The gastronomic Victor Hugo market too is bathed in shades of pink as it flaunts rows upon rows of glistening strawberries, fresh meats, baby radishes, giant melons, marmalade preserves and, predictably, cartons of the ruby-coloured liquid we are now addicted to. Passing the 17th-century Canal du Midi that links the Garonne River to the Mediterranean Sea with a brief halt at the 12th-century Saint-Sernin basilica, the largest Romanesque building in Europe, we drive through the Aveyron gorge into the quaint village of Saint Antonin-Noble-Val that would have remained cocooned in anonymity had Helen Mirren and Om Puri not cooked up a storm in its fortified environs. The 2014 Hollywood film The Hundred-Foot Journey dubbed as La Recettes du Bonheur in French has injected the enchanted forest with a mild dose of fame where the inhabitants, especially those with fleeting screen time, are eager to click selfies and don the role of guides for the sudden influx of curious tourists. Hidden away in the hollow of a valley, Saint Antonin, one of the oldest villages, is like a mysterious 18th-century maze with some homes dating back to even earlier times as is obvious from their medieval Romanesque arches. The former town hall, in fact, came up in 1125. Om Puri’s local lookalike, who doubled up for the actor in long shots, ambles towards us with an album tucked under his arm. The cinematic scapes swirl in our heads and in a nostalgic moment of recall we hope that they are playing the movie on the flight back home…. If you are in Bordeaux, a day trip (or more) to Saint-Emillon is a must. A 40-minute drive away, the UNESCO-listed medieval village which houses a little over 100 inhabitants sees one million visitors a year. And not just for its home-grown Merlot or Cabernet Franc though that is a mighty temptation. The story goes that in the eighth century, Brittany-born Emilion was accused of thievery because he would distribute his master’s bread to the poor. Once, confronted in a corner, he was ordered to relinquish the loaves from his cloak; the bread had turned into a pile of firewood. Frightened, he fled into the forests in the south but could not escape the aura of sainthood that followed his teenaged frame. The village that grew around his monastic sanctuary was bequeathed with his name. In the cave that still exists, a seat carved into the limestone rock is reputed to grant instant fertility to unyielding wombs and a small stream that sparkles with the currency of the world is believed to possess supernatural healing powers if you throw a coin into it. The Romans had of course discovered the valley some centuries before and planted the vineyards that have today put the little town into the tourist trap. A unique melange of rock, religion and vineyard lures the visitor — the underground monolithic church that has been fortified by iron columns lest Atlas shrugs and we are all buried in a heap; the ancient bell tower if you have the gumption to ascend to the top for an incredible view; old timbered houses that haven’t been blown away, 14th-century cloisters, steep cobblestone streets…. We decide to leave the wine tasting for after the ‘city walk’! 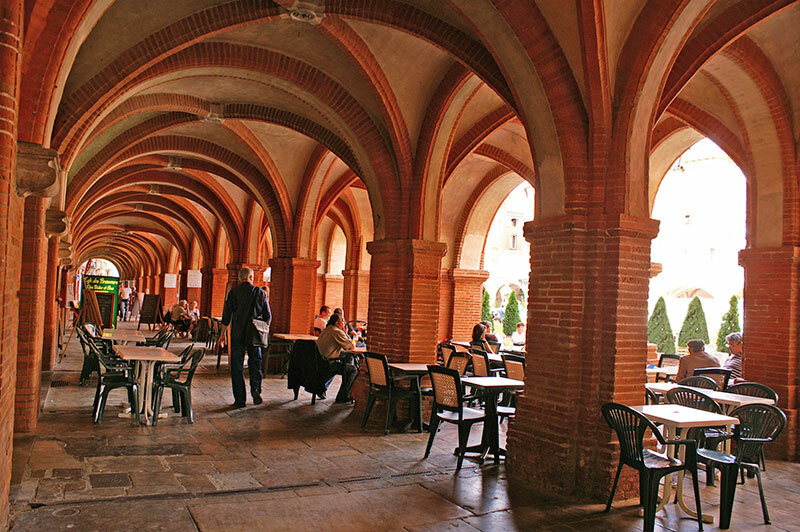 For a town that has withstood a stream of ravage and rebellion, fires and floods, wars and epidemics in previous centuries, Montauban has bravely picked itself up from its battered history and displays a cheery calm. Born in 1144, the town derives its name from the willow tree and has deep religious influences, apparent in the cathedrals, monasteries, convents, memorials and cloisters that dot the landscape. 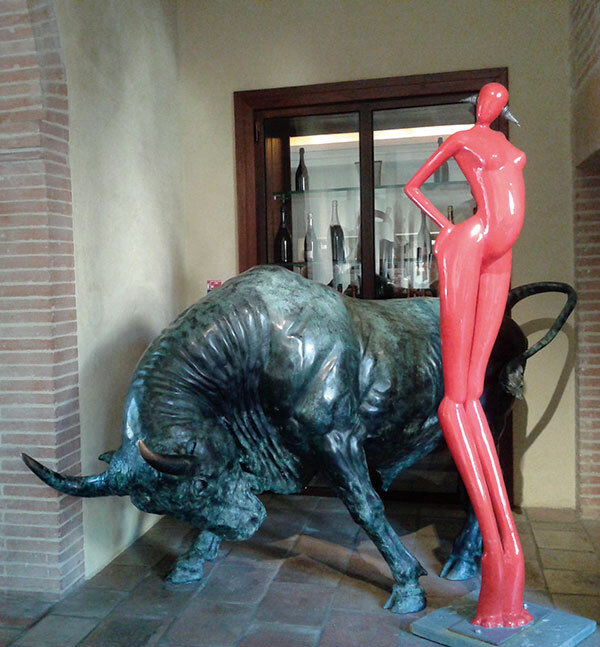 We check into Abbaye des Capucins, a former 16th-century abbey and are transported to the past by the restored columns and pillars but brought back into the present by modern-day comforts and contemporary sculptures that make you stand and stare. The reconstructed town is home to parks with nodding chestnut trees, meandering riverside walkways and aromatic markets filled with black truffles, chocolate-covered cherries and juicy plums. 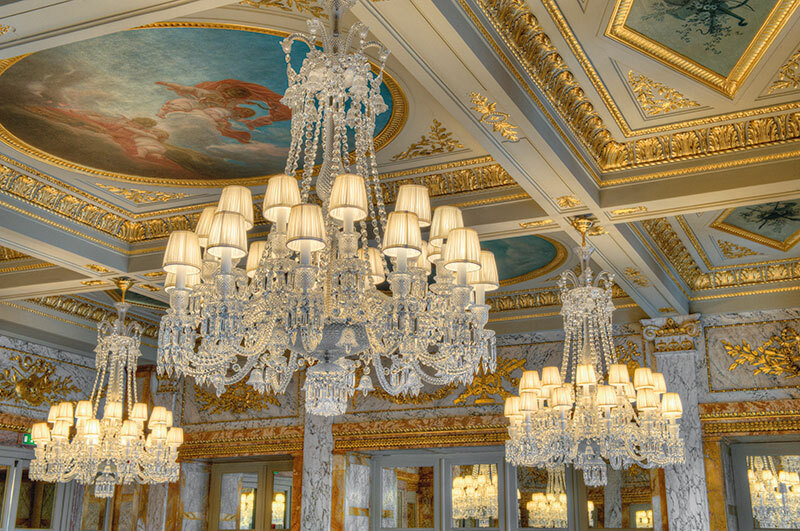 After catching the last rays of light bouncing off the Pont Neuf we are treated to a gourmet feast at Cyril Paysserand’s Les Saveurs d’Ingres where family members cook and serve and proudly present a sinfully creamy dessert as the grand finale! Fly: Air France to Bordeaux via Paris and savour Michelin-starred chef Anne-Sophie Pic’s delicately crafted cuisine on flight. Enjoy celebrity sommelier Paolo Basso’s hand-picked selection of spirits. Ride: on Rail Europe’s superfast TGV to Toulouse. 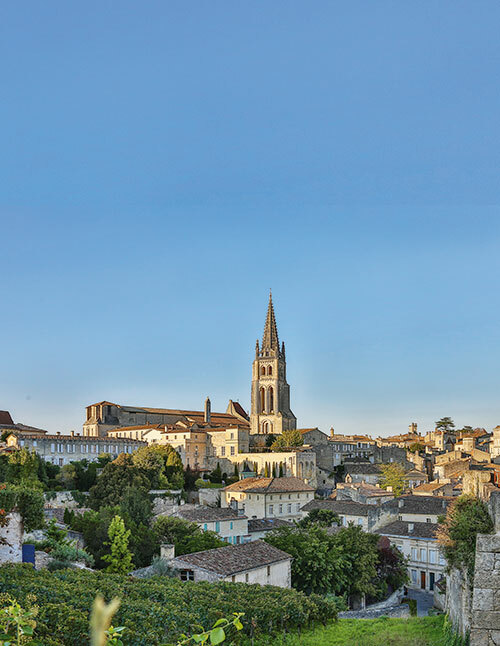 Taste: Saint-Emilion macaroons derived from the authentic recipe of the Ursuline nuns; the giant roast fowl at the family-owned La Tupina, Bordeaux; crystallised edible violets, the emblematic flower of Toulouse. Buy: natural horn combs of Ariege, Millau gloves, Graine de Pastel’s signature fragrance, Marc Deloche jewellery, a bottle of Armagnac, the oldest French brandy.